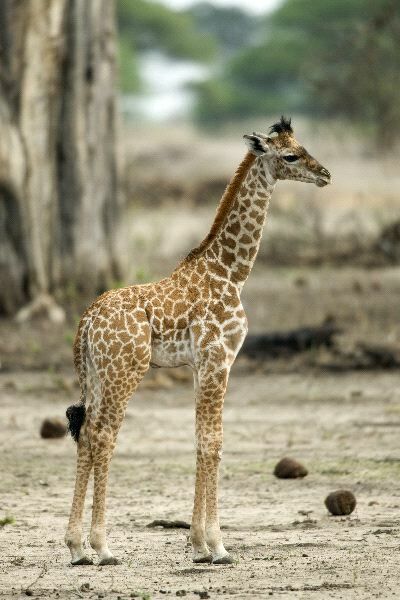 The Giraffe is well known and easy to identify from other animals. They are extremely tall and can be up to 18 feet. They have long necks and they have long legs. They also have dark spots on them that are unique for each of them. They are brown in color with darker brown spots and areas of white. The Giraffe also has a very long tongue that they use to grab items such as food. They eat from the tall trees where many other types of animals simply can’t reach. They have a system in their body that allows them to drink without all of the blood rushing to their head.